Lightning strikes around Thimble Peak in the Catalina Mountains. A.T. Willett discovered monsoon storms as a young child when his family moved to Tucson. 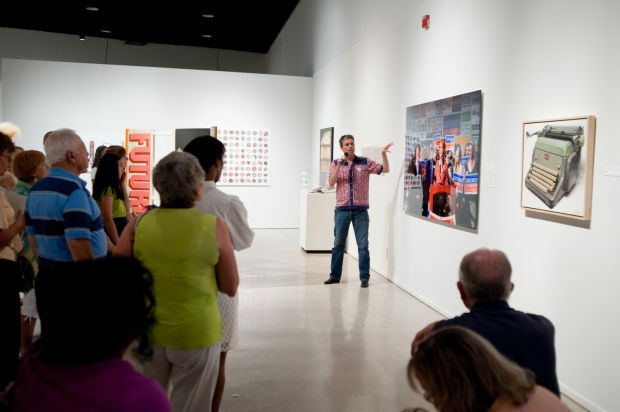 A.T. Willett presented his 2010 photograph of Gabrielle Giffords at the Tucson Museum of Art in 2011. Glamour magazine published another photo of Giffords. The first time photographer A.T. “Tom” Willett ever chased a tornado, he drove toward a horizon streaked with lightning in the dead of night. Partnering with fellow photographer Warren Faidley, the two hurtled into the storm in Faidley’s Honda. It was 1987, and they had no radar, no laptops and no cellphones. “You’re just getting closer and you know there has been a tornado there, and there is not enough information to know that there is not a tornado there now,” said Willett, now 50. Storm chasing is a puzzle. So is photography. Willett’s interest in imagery developed with his first batch of photographs. He traces his interest to a family vacation in SeaWorld when he was about 12 or 13. He had snapped photos of leaping dolphins with a damaged Kodak Instamatic, and a light leak splashed a red flair across the finished images. Willett was intrigued. “He always liked to see how things were made and would take things apart like vacuum cleaners and motors to see how they worked,” said his mother, Judith Willett, 75. Willett joined the yearbook staff at Sabino High School and then took photography classes at Pima Community College. He initially planned to pursue landscape photography, then changed his focus to people. He started building his portfolio and decided to go after a job at the Tucson Citizen. Today most people know him for his storm-chasing work, but like any good puzzle, Willett’s career has many parts, from freelance work to a current film project on love. For a May show at the Wee Gallery, 439 N. Sixth Ave., Willett hauled out his work from the 1980s, including images taken as a staff photographer for the Tucson Citizen and later during a year in New York City. All of them capture moments from individual life stories. 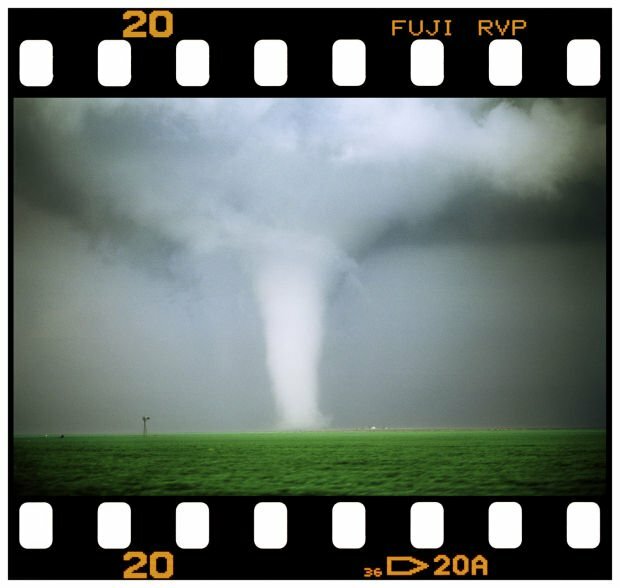 It was shooting stock photography — taking photos for commercial use — that led Willett to storm chasing. They sold well, and in those early years, not many people chased severe weather. Today, Willett sees people take unnecessary risks, even with so much information available about dangerous weather. He sets up cameras and keeps his eyes on the storm. Although he began storm chasing in 1987, he did not see his first tornado until 1991. With little information to go on, Willett and Faidley would spend hours in cable company lobbies in small towns, taking advantage of the lobby television’s access to the Weather Channel. They would go for a month at a time. Willet first encountered tornadoes as a child living in Illinois. He remembers his parents herding him, along with his two sisters and brother into the basement to wait out a tornado until the AM radio crackled the “all clear.” When Willett was about 7, the family moved to Tucson, where he discovered monsoons, another fascination. All of it — even tornadoes, lightning and thunderclouds — connects to people. “Storm chasing is like 1 percent what you experience when you’re out there, and a lot of what you experience is talking to other people and meeting other people,” Willett said. 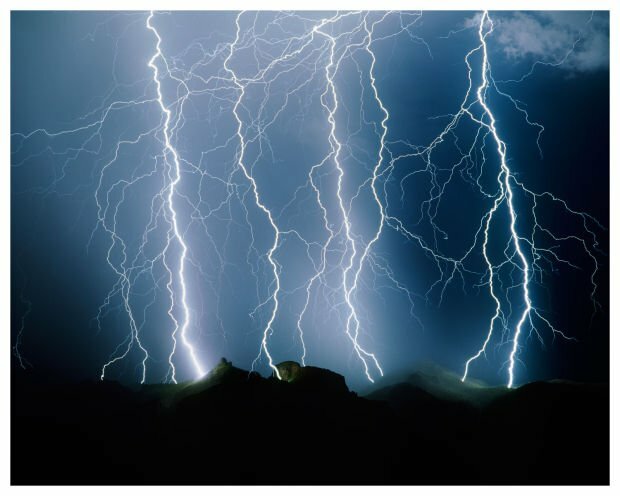 Here are some excerpts from a conversation with Willett about his career, his photography and some harrowing escapades with severe weather. Willett took this photo as a Pima Community College photojournalism student bulking up his portfolio to apply for a job at the Tucson Citizen. The mural by Luis G. Mena is now painted over. Later, when the photograph was published, Willett received a critical email from someone who thought he completely staged the photo. Willett sees these early years and his Tucson Citizen days as training. After working as a photojournalist for the Tucson Citizen for two years, Willett, only 22 at the time, moved to New York City with plans to shoot fashion. He shot this photo from his bedroom in the apartment he rented with a Jewish school teacher. He got several assignments from USA Today and continued his practice of circling and shooting the day’s events based on publications such as The New Yorker. He stayed for about one year before moving home to Tucson. Faidley and Willett met photographing a trailer fire in Tucson. They set out on their first tornado chase after watching a National Geographic program about storm chasing. One evening, they hopped in Faidley’s car at 6 p.m. and drove through the night to Texas. They picked up a transmission on the AM radio at around 10 p.m about a small town ravaged by an F4 tornado. Many of the 30 killed were in a community hall for a preschool graduation. Willett and Faidley saw seven tornadoes form out of this same storm. Contact reporter Johanna Willett at jwillett@azstarnet.com or 573-4357. Just to clear the air, I am of no direct relation to Tom Willett, nor did I know him before writing this story. I spotted his name for the first time in April reading a Home + Life story about Tucson artists opening their studios to the public. Naturally, the last name “Willett” stood out to me. A quick Google search revealed his background in storm chasing. That alone was intriguing, but it also sparked a memory. As a fifth or sixth grader, I remember discovering a photograph of several storm chasers in one of my science textbooks. It amazed me that one of those guys shared my last name. I went home that day after school and told my mom about our fellow Willett who chased tornadoes. The memory stuck. Fast forward to today and my job as a reporter for the Star. Until this story, I never realized what readers and sources calling me meant when they asked if I was related to Tom Willett. Now I get it. Maybe somewhere out there, there is another Willett who chases storms, but Tom Willett thought it likely that he and the guy in the textbook photo are one in the same. Along with one-time partner Warren Faidley, a national expert on storm chasing and safety, Tom Willett has a reputation across the country. I went to the opening of Tom Willett’s show at the Wee Gallery in May and found myself in a room full of other Tucson Willetts. They were convinced that somewhere down the line there is a great-great-great-great-great-great someone we share. Maybe we do. Maybe not.